Jean Walmsley Heap, the founder of much-loved Burnley pottery PenDelfin, has died aged 87. Jean started out as an artist, illustrating children’s books. 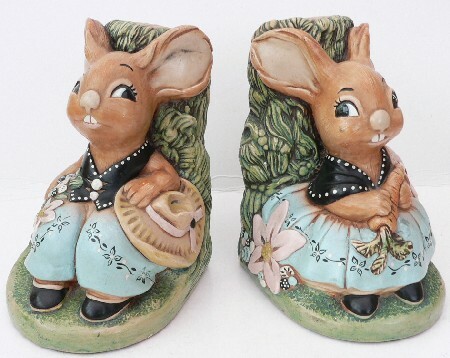 The PenDelfin figurine business grew out of a idea sparked through her friendship with Jeannie Todd, whom she met at a Burnley Artists Society meeting in 1953. From its early beginnings in a garden shed, the pottery grew to be an internationally-known business – all the time maintaining its base in Burnley. 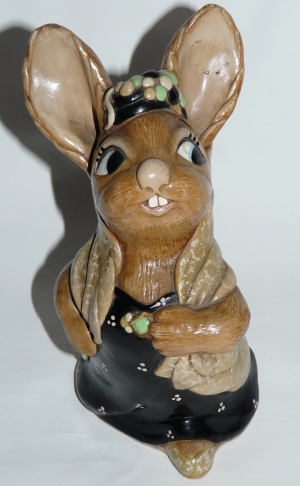 Early pieces – such as the Pendle Witch and the Fairy Shop plaque – are today extremely rare and collectable, as are rare, early rabbits like Aunt Agatha. 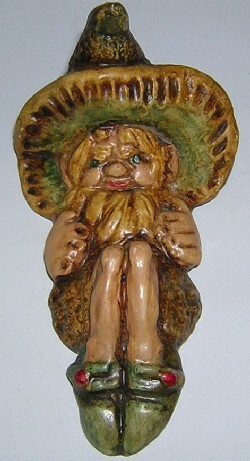 This entry was posted in PenDelfin and tagged Jean Walmsley Heap, JWH, PenDelfin on October 30, 2008 by Perfect Pieces. For enthusiastic PenDelfin collectors and dealers from all over the UK (and further), the annual PenDelfin Auction has long been a keenly-anticipated and enjoyable event. Organised by Stella Ashbrook (the author of the definitive PenDelfin Collector’s Handbook ), the auctions have always provided a chance to view and buy some of the rarest and most interesting pieces of PenDelfin, as well as to meet other like-minded collectors. We attended last year’s PenDelfin auction, at Chester – you can see pictures of some of the pieces that were for sale here. The sale was attended by PenDelfin founder Jean Walmsley Heap and seemed quite successful. However, this year there is not going to be a PenDelfin Auction, according to a message posted by Stella Ashbrook on the PenDelfin Collectables Message Board. According to Stella’s message, there will be a selection of PenDelfin for sale at Byrnes Auctioneers in Chester on 16th April, but no full-scale auction. Now I’m even more glad we went last year! Hopefully the auction will resume in 2009, but I won’t be holding my breath, as the sale and subsequent offshoring of the factory means that the company doesn’t have the same kind of presence in the UK that it once had – nor the quality output, sad to say. 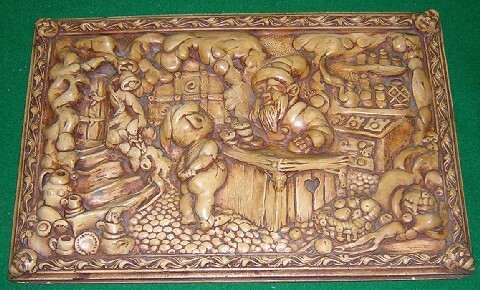 This entry was posted in PenDelfin and tagged auction, Jean Walmsley Heap, JWH, PenDelfin, Stella Ashbrook on February 25, 2008 by Perfect Pieces.